Figure out your estimated monthly mortgage payment by estimating your loan amount, interest rate, and time period. Select a loan type best suited to your needs. Fixed Rate Mortgage - A loan with a constant interest rate that does not change throughout the duration of the loan. Adjustable Rate Mortgage - A loan with a floating interest rate, determined by a set of indices. 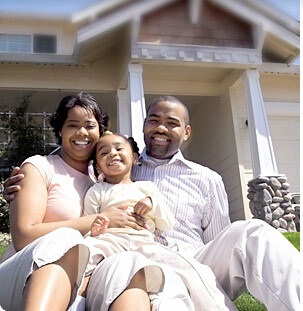 FHA Loan - A loan guaranteed by the Federal Housing Authority. VA Loan - A loan offered to American veterans by the U.S. Department of Veteran Affairs. Current mortgage rates are at historic lows. Whether you a first time home buyer or you're looking to lower your interest rate, you should take advantage of today's low mortgage rates. Simply fill out the four parameters above to start your mortgage rate search. Looking to refinance your mortgage? Get mortgage quotes for refinancing your loan now. Some of the most common mortgage programs include fixed rate loans and adjustable rate mortgages, FHA loans, VA loans, and jumbo loans, as well as low down payment and self-employment home loans.